If you have a garage door system at your home, you probably already realize how valuable the equipment is to your day-to-day life. But imagine if the same system could become even more convenient, secure and easy to use. If you choose to upgrade with a garage door opener replacement, you’re sure to love the investment in no time for its countless benefits. Garage door openers today must be equipped with safety reversing mechanisms — a requirement since 1993. Two sensors rest on both sides of the door about six inches from the garage floor, and the light beam they create during door operation senses anything under the door, such as people, objects and pets. If anything is in the way, it’ll reverse and open to help you avoid damage or injury. New openers will always have this feature, so if yours doesn’t you should upgrade right away. With older garage door openers, it’s not uncommon for family members inside the home to wake up every time the door opens and closes. New openers are almost always quieter than old ones, especially with models like belt drives that offer smoother operation than chain drives. With the right model, you’ll be able to open and close your door at any time without disturbing anyone in the home. 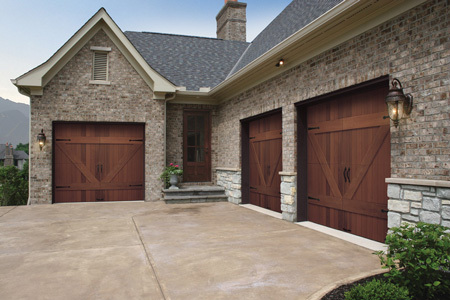 If you’re like most people with a garage door system, you probably use your door several times throughout your day, which means power outages throw a serious wrench into your plans. But with a new garage door opener, the battery backup will kick in if electrical power is lost, keeping your day running smoothly even in the worst conditions. Many new openers come equipped with the latest technology, which provides features that never could have existed with older models. 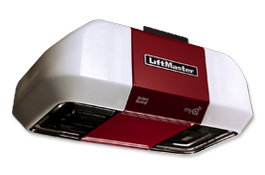 MyQ® from LiftMaster®, for example, allows you to operate your door remotely from anywhere with an internet connection. You can use your phone to track when your door opens and closes and operate it from anywhere. In addition, you can opt for a keypad that uses fingerprint detection and allows you to open your door by touch, making the entire system more secure from intruders. If you’ve decided it’s the right choice to replace your garage door opener or remote, we’ll help you find the perfect options for you, your family, your home and your lifestyle. Once you’ve decided, our expert technicians will install your new opener and can service your entire garage door system throughout its lifetime, offering 24/7/365 emergency support along the way. Contact us now to get your garage door opener replacement underway!